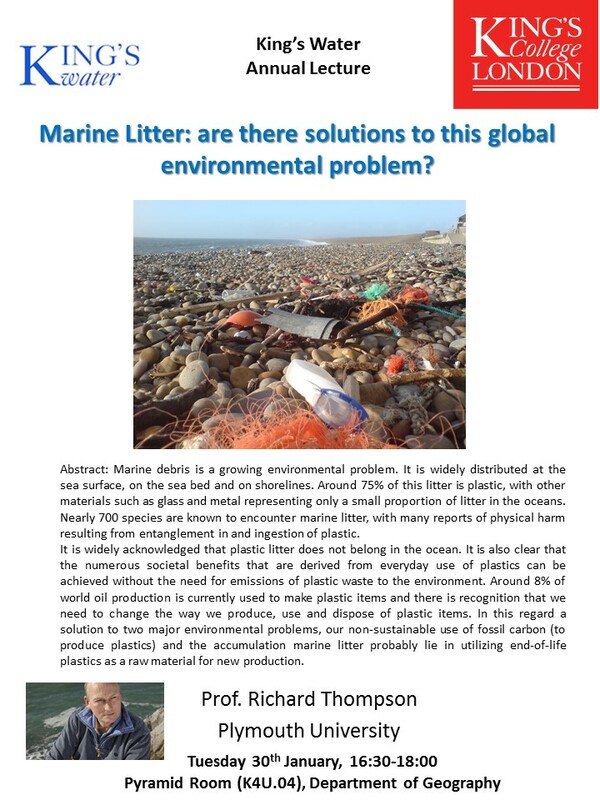 The King’s Water Activity Hub is proud to announce our 2017-2018 Annual Lecture, featuring Professor Richard Thompson from Plymouth University. The Annual Lecture will be held Tuesday January 30th, between 4:30 and 6pm in the Pyramid Room (K4U.04), Department of Geography, of the Strand Building, King’s College London. A drinks reception will follow. This entry was posted in Uncategorized by James Roxburgh. Bookmark the permalink.